Texas A&M University recently made history when they elected a student body president named Bobby Brooks, the first openly gay person to hold the position. 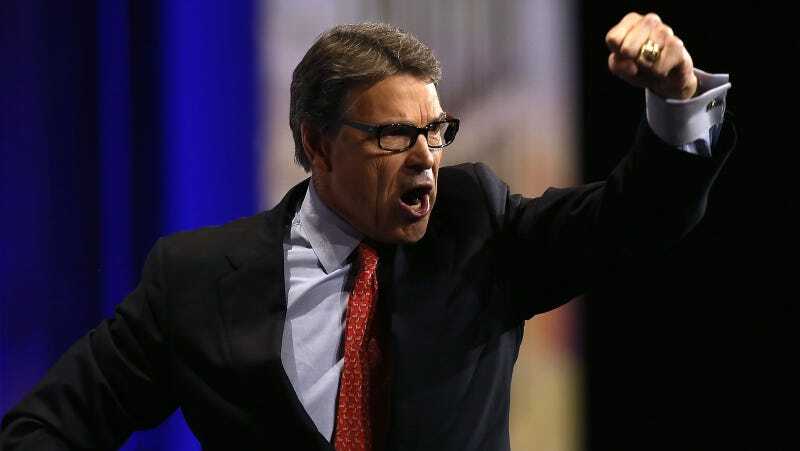 Rick Perry is really unhappy about it. Brooks’s win was somewhat controversial, but not because of his sexuality. Texas A&M’s student newspaper, The Battalion, reports that his opponent Robert McIntosh actually won the election by 750 votes, but was disqualified following rumors of intimidation tactics and a failure to disclose financial information for a campaign video he made. As the second place winner, Brooks took office. All of these decisions were made by their fellow students, who serve on a judicial court for student body government conflicts. Now, Brooks’ presidency is being treated as a victory for “diversity.” It is difficult to escape the perception that this quest for “diversity” is the real reason the election outcome was overturned. Does the principle of “diversity” override and supersede all other values of our Aggie Honor Code? It should be mentioned that, according to the Washington Post, McIntosh is the son of a Republican fundraiser in Dallas who campaigned for Trump during the election. Brooks hasn’t yet commented on Perry’s interest in his win, but the school’s senior vice president of marketing and communications Amy Smith told the Texas Tribune that though she has admired Perry’s commitment to A&M, she can’t believe he’s getting involved in the student government election process. “Honestly, we were just surprised to see that the secretary of energy would take the time to weigh in in detail,” she added.